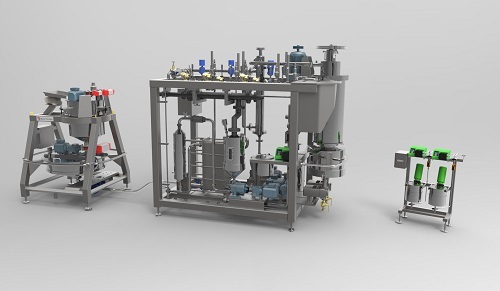 Even if you are not planning investment in new equipment or process soon, the temptation to give this Interpack a miss should be resisted: a visit to the Baker Perkins stand in Düsseldorf in May will be well worth the effort. We will be showing new developments, of course. 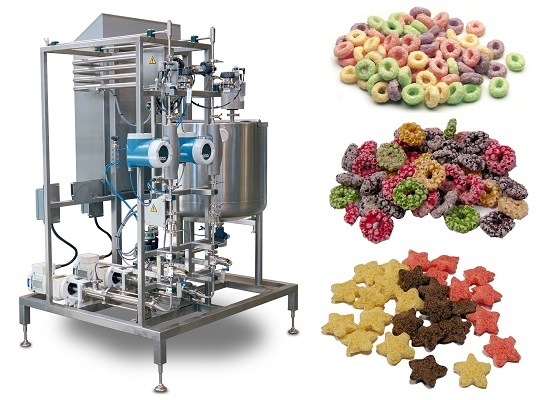 They include improved confectionery cooking technology covering the Autofeed ingredient weighing and mixing system; Microfilm™ cooker; and Colour and Flavour Addition (CFA) system. There’s also an innovative colour change system for snacks and cereals and a display of the latest end-product initiatives in the Innovation Centre. But – contrary to popular myth and publicity surrounding the event – exhibitions are not just about new equipment. End products and the processes used to make them will be an important part of our stand with visitors able to move directly from the machine to a display of the products it can make, or from the products to the machines that made them. 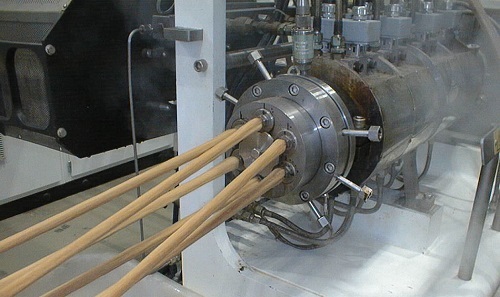 This applies whether the equipment is a brand new design or an established part of our range. Although new designs grab the headlines, the rest of our machines are just as important to customers, particularly for those who are new to Baker Perkins. At Interpack you can see the high engineering quality underlying all our equipment, proven in testing conditions around the world, and regularly upgraded with the latest technology to minimise production costs and maximise ease of use, cleaning and maintenance, and hygiene. We will be showing a representative selection: a ServoForm™ confectionery depositor; an HS biscuit dough mixer, TruClean™ wirecut and rotary cutter; an SBX Master™ snack and cereal extruder; plus a rotary cooker for cereals. To use an analogy from another industry – media and visitors at motor shows focus on the latest glossy model. But what nearly everyone buys is the latest version of an established brand. At Interpack you can conveniently meet our full team. Advances in equipment, process and end-product relevant to your business can be discussed with technologists and engineers as well as sales personnel – several potential meetings rolled into one, saving time and travel during the purchasing process. By discussing new ideas you can develop a real sense of their potential for your own business. You can evaluate the Lifetime Support our customer service team provides throughout the post-installation life of expensive equipment. We look forward to seeing you on the Baker Perkins stand in Hall 4, stand C21. Make that trip to Germany – it’s a once every three years opportunity to make sure your business keeps moving ahead.